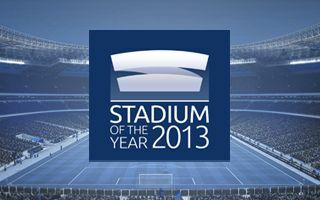 We can say a lot of things about this year’s Stadium of the Year competition. It’s been a record-breaker for sure and no wonder, because the 18 nominees from around the world are very interesting. From small Estadio Regional in Puerto Montt to 8 times larger Maracana, the revived legend. Venues of the 2014 and 2018 World Cup and Euro 2016. First grand stadium of modern day Iraq, first new arena in years opened in Belgium – the list has many “firsts” and “mosts”. You may still choose your top five stadiums by grading them from 5 to 1 (5 points for most favourite, 1 for 5th most favourite). There’s only 24 hours left and to make the final decision easier for you we’ve spent the last 18 days presenting each candidate. Also feel free to browse through relevant presentations and articles at StadiumDB.com to get more insight on each nominee. The vote ends on midnight (CET), Saturday 22. Next we carry on the final check of entire voting procedure and on Sunday evening all results will be presented, beginning with 3rd, 2nd and finally 1st stadium of your choice. Of course later then we’ll give you the entire list of participants with their respective results. Last year it was Arena do Gremio, in 2012 PGE Arena Gdańsk and before that Aviva Stadium, our first Stadium of the Year. Who’s going to join the pack this year? Come back on Sunday evening and check the results!